Although I wrote everything I know about squirrel issues for this website, oftentimes a problem with squirrels in the attic is beyond the scope of the do-it-yourself homeowner to solve. I have found a professional company in Fresno, California that handles problems with wildlife. 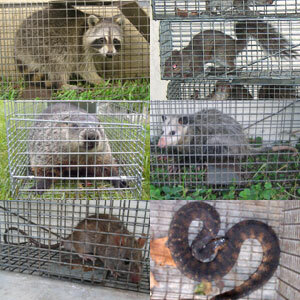 Wildlife & Rodent Removal Fresno has access to tools, techniques, and experience that help them do a far better job at wildlife removal than a non-experienced homeowner could. They possess licensing that allows them to do certain types of work legally, that non-licensed homeowners in the state of California are not allowed to do. For the welfare of your situation, and the squirrels, in some cases it's best to hire a pro. There are good companies and bad companies out there. I've done research on such companies, to get to know them, and feel confident recommending their services. I therefore recommend a company called Wildlife & Rodent Removal Fresno which services Fresno, California. If you have a squirrel problem, or any other conflict with a wild animal, and live in Fresno, I am confident that this company, Wildlife & Rodent Removal Fresno, is the one to call. I asked the company to describe their service range, and they said this - We service the Fresno, Ca area and the whole Central Valley and Sierra Nevada Foothills including wild animal control in Madera, Clovis, Hanford, Tulare, Porterville, and more! Wildlife & Rodent Removal Fresno operates 24/7, so don't hesitate to call at any time to discuss your wildlife problem, and schedule an appointment for same-day or next-day service. My response: Yes, that's probably legal, but it won't work. You've got to find out how they are getting in, remove them via trapping or exclusion, and seal the openings up afterward. Hi David, I have been reading your article and thank you. I have a two story condo in Fresno CA and have a gray looking squirrel running in the walls at various times of the day and night. I can see where they are getting in on the outside second floor. I can hear two squirrels rummage through the walls to the ceiling over my laundry on the second floor. this has been going on for three days. I have called a professional exterminator. Will your idea of a repeater or one way trap work in this situation? Do i need to open the ceiling and get the nesting material out? How long do i wait after not hearing activity to permanently seal the hole? Thank you do much. If you have a squirrel problem in Fresno County California, or any other conflict with a wild animal, I am confident that we can solve it. We use humane methods when dealing with Fresno wildlife removal situations. Squirrel Control Fresno. Our company is fully licensed and insured in California. Call us any time at 559-472-7780 for a price quote and to schedule a same-day or next-day appointment to solve your squirrel problem in Fresno.